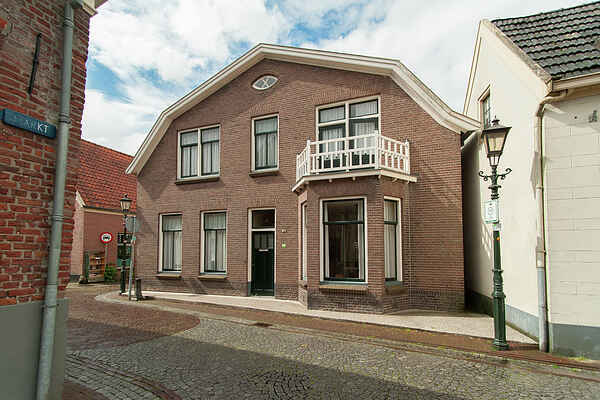 This historic holiday home is located in the heart of the Achterhoek in the centre of the old fortified town of Bredevoort. The former farmhouse and joinery were built at the end of the 1500's, just outside the old city wall of Bredevoort. The cellar, with its groin vault and the back gable of the house date from that period. After complete restoration, the home is now comfortably furnished as a holiday home. The rich history of the town of Bredevoort can be found in the historic scene with many narrow streets, historic buildings and squares. Bredevoort is primarily known as a Book Town. Many book ships and antiques shops with second hand books are based in historic buildings. Every third Saturday of the month there is a book market. The Achterhoek offers extensive cycling and walking options. The cycling crossroad network of nearly 1500 km leads you through a varied landscape and past many sights. For the sauna, clients need to provide their own bath linen and robe(s).